In an effort so serve those who aren’t podcast listeners I’m sharing the majority of this week’s episode of The Next Right Thing Podcast here on the blog. If you’d prefer to listen, tune in to Episode 76: Create A Simple Morning Routine. What we value when we’re 15 is different when we’re 25 and different still when we’re 45. And all along the way we have decisions to make. Some of those decisions are big but most of them are tiny, daily, and rote. Where is your fixed point in the midst of these major life transitions? As we follow the arrows of God, as we listen to the heartbeat of our own life, we’re led through one life transition after another, one fog after another, always looking for the clearings, always watching for the hope, always listening for clues that we’re headed in the right direction. If there’s one thing I’ve learned from hosting a podcast called The Next Right Thing over the past 19 months it’s that most of us want to do the right thing but a lot of us don’t trust ourselves to always know what that is. We worry we’ll miss the best for the good. We worry we are too late or too early. We’re suspicious of our own desire, fearing that maybe what we want may not be what God wants. The beauty of doing the next right thing isn’t necessarily found in the word right but in the word next. To do the right thing may sound easy in general, but in the midst of a foggy transition it can be hard to know what that is. But to do the next thing is more friendly, accessible, and hopefully possible. I want to suggest a next thing for you today. It’s the simplest action step around but that doesn’t mean it’s easy. If you’re struggling through a transition, carrying a heavy bag filled with unmade decisions, or worried about choosing the right thing for your life, begin with creating a simple morning routine. Because how you practice your life will change over time and it starts in the morning. If you’re already worried I’m going to tell you to wake up at 5 am and do hard things before the sun comes up, take heart. That’s not what this is about. Instead, it’s about intention, energy, life, and joy. At a time when I had a lot of decisions to make recently and my life was extremely busy I talked with a mentor of mine to ask for some advice. Her encouragement to me was simply this: Hang on to your morning routine. At first it seemed like odd because my morning routine is not particularly productive. It doesn’t move the needle forward or offer much by way of checking things off my to do list. But what it does to for me is provide a fixed next right thing every single morning I wake up. In the midst of a busy season of life, I need all the pre-made choices I can get. 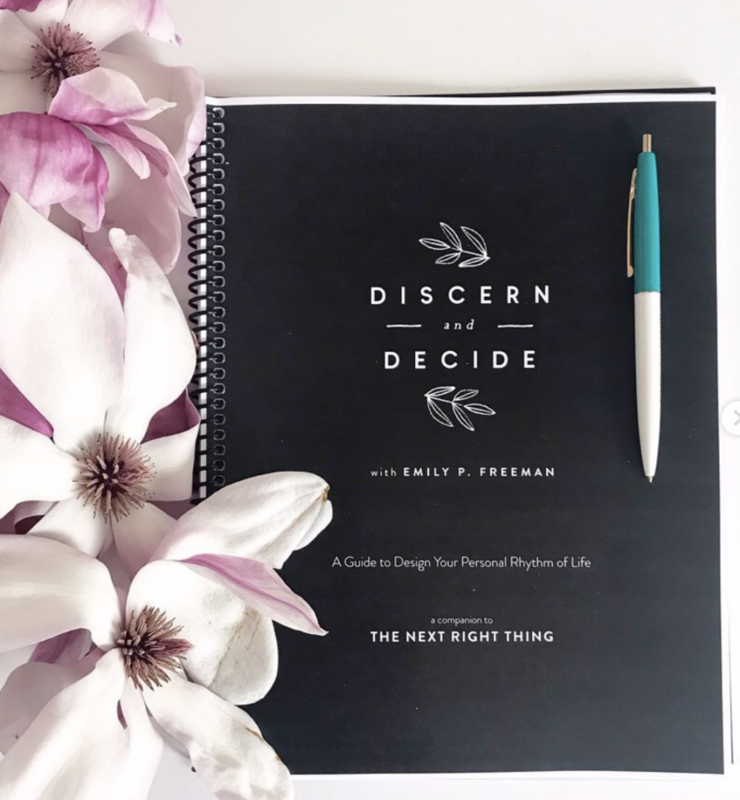 In the online class I created called Discern + Decide, I walk you through the importance of not only a morning routine, but an entire rhythm of life – from your day to your week, month and year. We won’t do that here now, but just remember you can get access to the entire class for free when you pre-order The Next Right Thing book before April 2. But generally speaking, here are three things to remember when creating your own morning routine (and then I’ll share my routine at the end if it’s helpful). I want to gently invite you to consider one simple way this could work. One tiny change you could make. One small next right thing you could do to show yourself some kindness at the start of your day. If nothing comes to mind, if a morning routine still feels impossible to you, ask your friend Jesus to give you ideas. Because he’s intimately interested in the details of your life. It could be interesting to discover what he might have to say. Why create a morning routine? I mentioned this before, but the gift of practicing a morning routine is that everyday I have one thing I can count on. Though the day may be unpredictable, there are a few minutes I can look forward to that are fixed. It may not be long and it may not be fancy, but it’s mine. 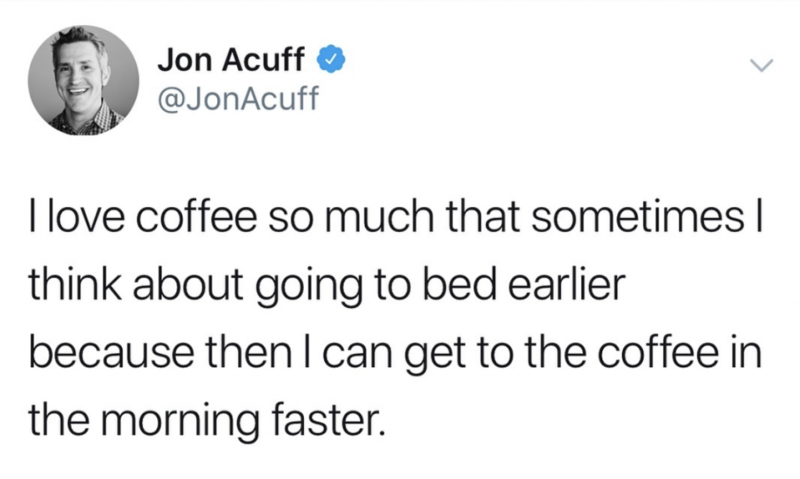 It’s funny, but that’s the power of a morning routine (and also caffeine) but still. 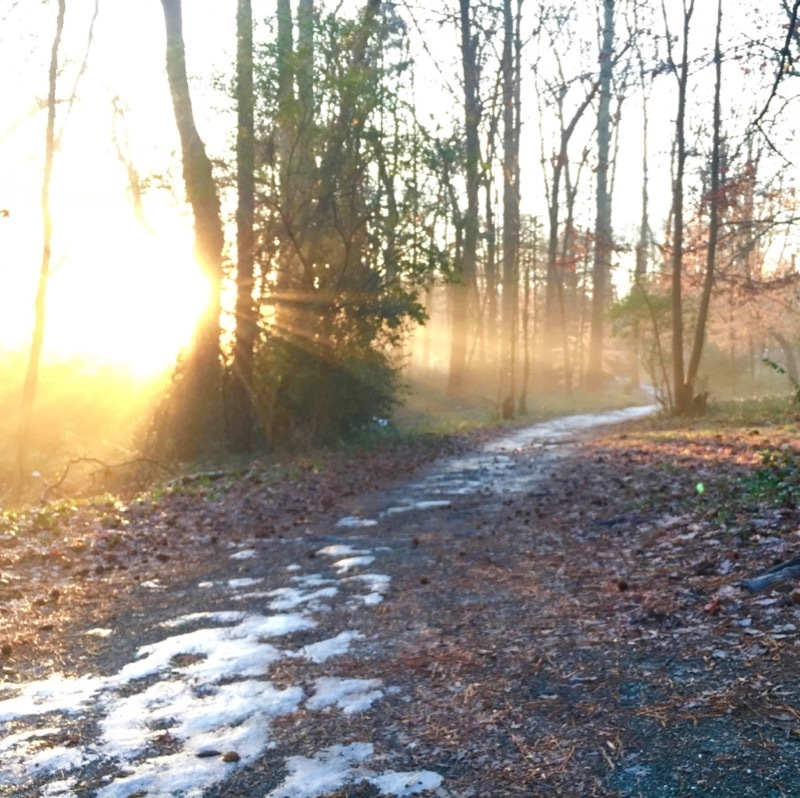 A morning routine offers us a fixed point to count on in the midst of our fast-moving worlds. My friend Kendra who you may know as The Lazy Genius says a morning routine is “Kindly opening the day with the purpose of gradually increasing my productive energy.” She talks about finding things to do at the beginning of the day that help you feel like yourself so that you aren’t looking for yourself for the rest of the day. If you want even more advice from her on this, you can listen to her episode on The Lazy Genius Podcast all about morning routines. So, that’s the first thing. If you’ve grown up going to church, particularly in the evangelical tradition, you may have had the concept of a quiet time taught to you since an early age. For those of you who don’t know what that is it’s what church people call spending time with God, typically described as reading your Bible and praying. And while the intention is good, and while both of those things are things I do I think the execution at least in some church circles has missed the mark. First the phrase “quiet time” sounds like something for kindergarteners so that’s lame. Second, we tend to imagine this time has to look the same way for all of us instead of asking ourselves the deeper questions. I’ll give you two for now. 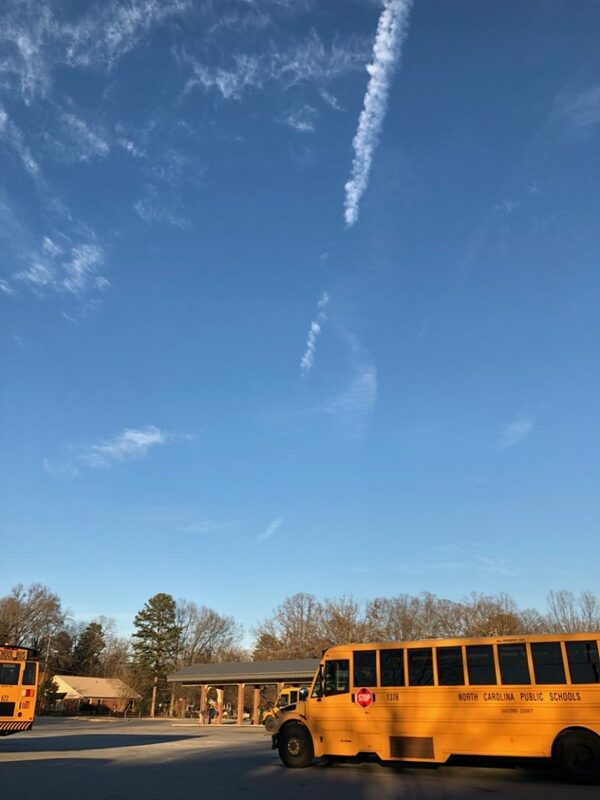 When it comes to creating a morning routine, rather than just assume I mean “have a quiet time” (which I do not mean that, by the way), the first question comes from Kendra: What makes you feel like a person? The second question comes from me: What draws you close to God? Sometimes the answer to those two questions could be the same thing but my guess is they will not look the same way for every person. And they may not look the same way for you depending on your own current season of life. A third bonus question for you could be what pushes you away from God? Don’t do that thing in the morning. Some things you may include in your morning routine: take a shower, sit on your porch, read a poem, listen to music, light a candle, drink your coffee, write in your journal, read scripture, pray the Lord’s Prayer, sit in silence, make a list of 5 things you love. The options are endless so my advice is this: start small. Choose 3 or less. And don’t give up too soon. Don’t get caught up with at 7 am I take a shower. This, I promise you is going to lead to frustration for you especially if you live with other people and even more especially if those people are tiny. Instead of thinking in time slots, think in trade offs. For example, if part of your morning routine that you value is to read for 10 minutes but you get sidetracked during your normal morning routine time, no worries. Instead, just decide not to do something else until you read for 10 minutes. For me, often that’s something like checking instagram. I may not be able to read for 10 minutes right now, but I won’t check instagram until I read for 10 minutes. It’s not a legalistic rule, instead it’s a life giving rhythm. It’s reminding me of something that I’ve already decided is valuable to me. Something I’ve already decided is important for my rhythm of life. It’s not a schedule it is a rhythm. Think in trade offs not time slots. And if the kids wake up weirdly early on a Tuesday and you just aren’t able to get to your morning routine because you have to make breakfast and keep humans alive, it doesn’t mean your morning routine is shot for the day. Instead, tell your friend Jesus as you flip the bacon. Ask him to find 10 minutes for you to read.And if it doesn’t come, if the day moves too quickly on, take heart. Remember the time at the stove with the bacon counts too. This is your own tiny monastery. Your own Brother Lawrence moment of practicing the presence of God in the midst of your ordinary life. Some weeks you may practice your morning routine everyday at the same time because that’s what works best for you. Other weeks it might be completely different. For me, these days, my morning routine usually includes three main things: reflection, reading, and prayer. 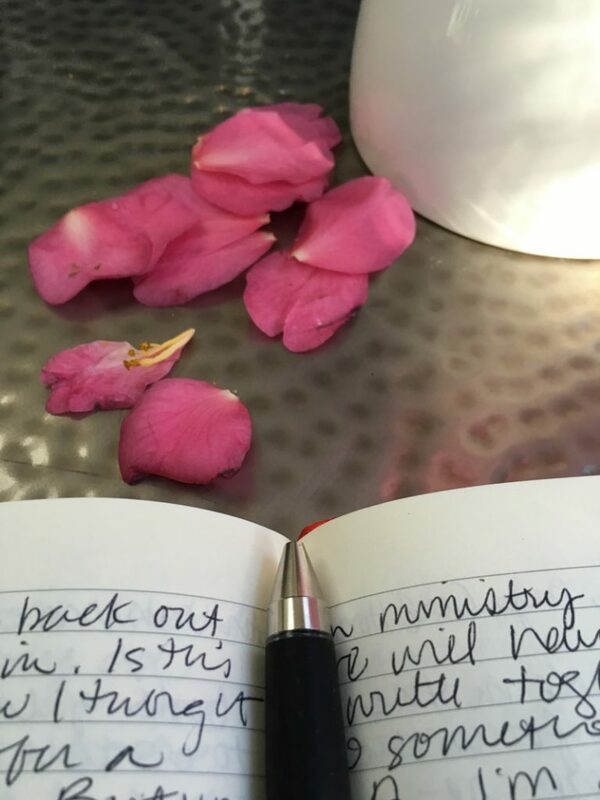 I reflect on the day before by writing in my One Line A Day journal. I’ll record the stuff of life, like what the kids are up to or what show we watched on TV the night before. Again, not fancy, not even particularly deep. Just my life right now. I’ll read for 15 minutes because I set a timer. The reason I do that, I have a hard time focusing lately. As long as the timer is running, I just tell myself I can’t do anything else until the timer goes off. And sometimes I’ll set the timer for my prayer time as well – 2 minutes, 5 minutes. It just depends. Overall my morning routine right now may take up to 30 minutes some days. Other days I only get 10 minutes. When my kids were small my morning routine was half a cup of coffee and a prayer on the go. It all counts. It’s all life. And God is with you in every bit of it. You might be thinking, well that is just stuff I do in the morning. That’s not a routine. It is a routine! It’s stuff you do in the morning. And sometimes just the simple practice of giving it a name can help you feel a little more grounded especially if you are in the midst of a lot of transition and there are things going on in your day that you just can’t control. How you practice your life will change over time. So will your morning routine. Let that morning time be like a tiny gift you give yourself every single day – a nod to joy, a celebration of life, a fixed point in the midst of this crazy world. Trust yourself to choose well, then give it time to work. Change your mind if you need to. There’s no wrong here. Trust God to give you what you need when you need it. Believe he’s truly on your side. Let the morning bring you word of his unfailing love. Put yourself in a position to receive it. God will not let you miss your own future. He’s with you each step as you simply do your next right thing in love. If you want more detailed help to create not only a morning routine but also an evening routine as well as a plan for having an entire rhythm of life that supports soulful decision making, that’s what my online class Discern and Decide is all about. This is one of my favorite resources I’ve ever created and I’m super excited to be able to offer it to you for free but you only have a week to claim it so now is the time! 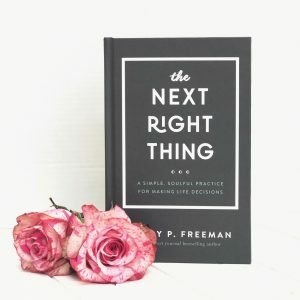 Order a copy of The Next Right Thing (wherever books are sold) then visit this page right here to enter your information and get Discern + Decide for free before April 2. I love this! Thank you for sharing your gift! I appreciate your practical wisdom and encouragement! I am going to order your book today! Can’t wait to read it…I need this! I ask God often to confirm the things I am working on in my writing… things I think to post. Courses I think to offer. Proposals. Your message serves as the confirmation of my “next right thing(s).” And it also confirms what I’ve already walked toward and sent out. I’m so thankful for you and for this. Sometimes, we can read the same heart message by another writer and think…”Oh no, I missed my chance! She already said it!” But the Lord has shown me that these are confirmations that the things He put on my heart are also on His heart …and on the heart of His people. We are one body, afterall. Shoot, there I go. I really just want to say thank you. 😉 Onward! It’s MINE🤗love this too:). Thanks Emily💖I’m so looking forward to receiving The Next Right Thing!! I so appreciate your gracious promoting to grace and this gratitude based transformation. Thank you for writing this just for me 🙂 I needed this badly. I just prayed this morning (like 30 minutes ago) about my morning routine. I wake up super early to have some quiet time alone with him (my two chairs time – something I learned in a really great book). But then I try to get ready while everyone else is getting ready and some days I run late for work. 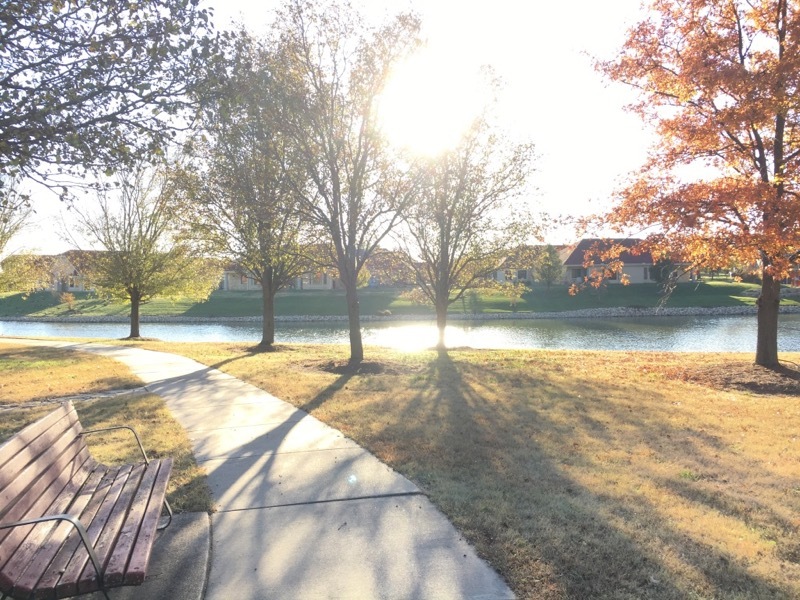 I know that is not something He wants me to do, but I couldn’t seem to figure out how to adjust things where my quiet time was still in tact – so I prayed for help this morning. And then I got to work and found this in my email inbox. Thank you God. Thank you that you hear my prayer and care about every detail of my life. On a morning when I wake up with a headache, and I can’t “feel” God, but I can sure feel behind and pressured, these are timely and wonderful words. Thank you. Yes! Beautiful reminders in this post! “God will not let you miss your own future.” This has ministered to me all day today and I’ve shared it with several friends who needed it too. Thank you so much. “What makes you feel like a person?” I LOVE that! I was in a FANTASTIC morning routine for about 6 months (and swore I surely would never stop), but then I had my second baby and…I totally stopped it all (it doesn’t help that he’s still a terrible sleeper even now at 9 months old!). I’m definitely one of those people who was immediately saying in my head, “Yeah, a morning routine would be great, but…”, so I appreciated the suggestions that still fit the framework of my crazy life with two small children. Thanks for an inspiring read! Love what I’m reading this morning at 4 am‼️ As a mom of 5 ( our oldest will be 30 in May- don’t know how that happened so fast) , a Mimi to one spectacular little boy & a wife to a small business owner – life is pretty busy here. My morning time with Jesus in whatever shape it takes is always good. Today I am counting two extra blessing as I get to see my college friends, who are like sisters to me. We have known each other since we were 18 & the last time we were all together was 4 years ago. 🎁🎁🎁❣️ What a gift God has given you with words, Emily. Is wordsmith a real word❓ That’s what I think you are‼️ Keep up the beautiful work. You are a blessing, Ms Emily. I take my “quiet time” every day, and being an almost empty nester, I get this time most days! It’s my time to square up, face the day, feel refreshed, and get my thoughts down before they escape during the busyness of my day! Thanks for these simple yet profound words of truth! Thank you so much. May God bless you. Thank you for your gentle words. I’ll go order right now! I have fond memories of hour-long morning quiet times during my single days, which I’m grateful for as laying the foundation of my faith. In my current life of parenting and chronic pain, thoughts of a strong cup of tea are often the only lure that can drag my protesting body out of bed in time to get myself and everyone else out the door. Putting your advice to use, I’m going to try to make sure that that first cup of tea is actually savored while feeding my soul in some way, whether reading, praying or listening to music. That should give me 5-10 minutes to set the compass for the day. Thanks for your realistic, empathetic approach to the spiritual life!